The St Anthony’s Primary School l Early Learning Centre is a 44 place early learning centre integrated with the St Anthony’s Parish Primary School. The ELC provides programs that are centred around play-based learning with the building and landscape spaces supporting the integration of internal and external learning activities centred around nature. The ELC has been sited within the school grounds to provide an individual identity for the ELC, while the building feels integrated with the school through the expression, finishes, form and landscape setting. 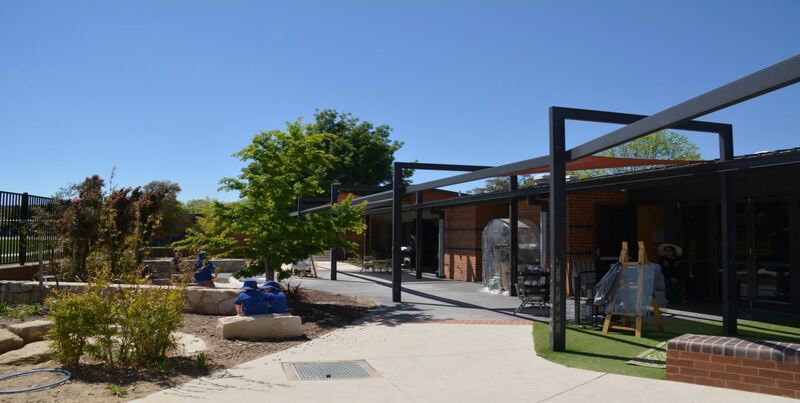 The ELC provides two playrooms which each connect to the outdoor play space that extends along the northern side of the building. Each of the playrooms provides flexible internal environments that include wet space with bi-fold doors which allow the integration of the external and internal learning spaces. Shared facilities are located between the playrooms, including the kitchen, toilet and library that provide a quiet space for children to retreat from the play spaces to read and reflect. The internal spaces include the use of timber and plywood, against a simple, naturally coloured palette to provide an environment that will allow the budding occupants to provide the life, colour and activity to the spaces.